Life is busy, there isn’t enough time in the day and there are way too many distractions we are bombarded with. Do you feel the same way? If you answered yes, you have come to the right place! Michele Botnick is a certified honeymoon travel specialist; aka The Honeymoon Travel Guru, and will help you cut through the clutter, narrow down your options, provide you with the best value, save you time, reduce stress and offer you her expert advice. 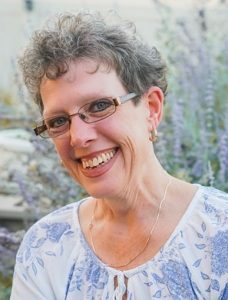 Michele prides herself on educating the travel public, which is why she writes a free monthly romance travel newsletter so her readers can stay informed, travel well, and most of all travel wisely. If you are interested in hearing what she has to say, we invite you to subscribe. Michele has personally visited numerous destinations in the Caribbean, Mexico & Europe. She is a Certified Honeymoon Planning Specialist through DWHSA; honeymoon travel specialist is her middle name! Michele is constantly attending educational workshops, performing site inspections of resorts (I know, it’s a tough job but someone has to do it) and participating in travel education seminars to continue to advance her knowledge and skills so she can provide you with exceptional service and support. Michele’s mission is to provide honest and personalized service to couples planning one of the biggest travel experiences of their lifetime; a honeymoon. She will be there for you every step of the way; from the initial stages of planning until you return home. Don’t take our word for it, this is what one of our clients had to say about their experience working with us; “Michele! What a fantastic honeymoon trip! From beginning stages of planning/quoting to making it home, your contact with us and follow through was impeccable! The resort was perfect! Thanks so much! We will definitely use you in the future and recommend you highly to others!” I have no problem tooting my own horn, but my clients do a much better job sounding the trumpets for me. If you want to plan a customized honeymoon package, have unlimited access to expert advice, personalized recommendations and be entertained by Michele’s witty humor (think of her as your own personal Trip Advisor app), then you are in the right place. Michele is the honeymoon travel specialist for you! Email Michele to begin creating your once in a lifetime travel memories, or call if that works better for you 888-598-8351.